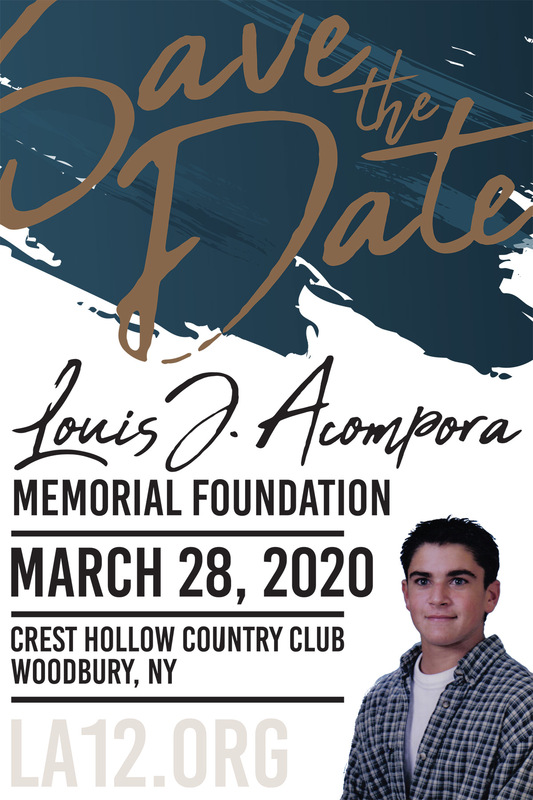 In June 2000, the Louis J. Acompora Foundation held the first conference for “AEDs in the Schools,” which was hosted by Suffolk County’s governing organization of interscholastic athletics, Section XI. Despite early opposition, at the urging of the Foundation, the New York State Education Department agreed to implement a task force to investigate the need for placing automatic external defibrillators (AEDs) in schools. The importance of the Foundation’s mission drew the attention of several local politicians. In June 2000, legislator Andrew Crecca introduced a bill to Suffolk County to implement AEDs in all county buildings and parks, as well as to require all police cars to be equipped with AEDs. 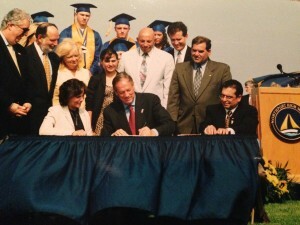 In October 2001, Suffolk County passed all seven pieces of legislation in the bill. In January 2001, the Foundation hosted an “AEDs in the Schools” conference, at which they presented their program for New York State. It was one of several conferences that the Foundation hosted across the state throughout 2001 and 2002 promoting awareness of commotio cordis and the need for AEDs on the athletic field and in the school environment. The New York State Education Department responded swiftly by publishing guidelines for schools wishing to implement an AED program — effectively changing their position on AEDs in schools. 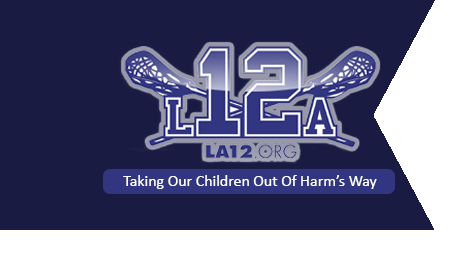 Before any legislation was in place, several schools and institutions took the initiative to start AED programs of their own following the news of Louis’ tragedy. One of the first schools to do so was Smithtown High School. In December 2001, Mohammed Shah, a 15 year old Smithtown student, collapsed while on his way to a class. Trained personnel at the school were able to save him with one of the AEDs purchased by the school only a few months prior. In a perfect example of the chain of survival concept, students, security guards, and nurses all played a role in his rescue. “In the wake of a heartbreaking personal tragedy, Karen and John Acompora have worked tirelessly in support of this important legislation, which will help save lives and prevent future tragedies from occurring,” Governor Pataki said.